English abstracts #77 "Karl marx"
The entire purpose of Marx’s work is to enable the working class to act as a revolutionary subject, i.e. as its own liberator, destined to overthrow capitalism. However, this paper demonstrates that this view, which has political validity, is supplemented by another more nuanced and more theoretically interesting understanding of revolutionary upheavals in Marx’s work. This more subtle approach is found particularly in his political analyses, and the paper specifically interprets his writings on the Paris Commune in this light. It is argued that in Marx’s analysis of the actual events, it is not the working classes of Paris that make the revolution. Rather, the revolution is triggered by a series of extraordinary circumstances, and by external agents. It produces an undecidedness, here referred to as a multitude, which is only après coup seized and defined by the working classes. Finally, the paper details how this reading has consequences for a Marxist understanding of politics in general and revolutionary upheavals in particular. The notion of the proletariat as the historical subject has disappeared in radical left-wing theory since the late 1960's. By comparing Guy Debord and the young Marx’s notion of the proletariat with the later notions of transgressive subjectivities, proposed by Alain Badiou, Jacques Rancière and Antonio Negri respectively, the article analyses a split between ‘interior’ and ‘exterior’ in contemporary Marxist and post-Marxist theory. This article reconstructs anew the correspondence that took place in 1881 between Marx and the Russian revolutionary Vera Zasulich. In this correspondence, initially about the Russian ‘agrarian question’, a much broader historico-philosophical issue was fundamentally at stake: the idea of progress. In the ill-fated history of Marxism the idea of progress has, arguably, served to bolster a politics of modernization partly shielded from criticism by the very fact that it allegedly originated in Marx’s so called theory of history. This article argues, on the contrary, that Marx held no such universal theory of history at all. Instead, Zasulich’s and subsequently Lenin’s appeal to an ‘acceleration’ of the contradictions of capitalism to promote the presumably inevitable historical passage to socialism (a view that this article in a contemporary pun identifies as ‘marxcelerationist’) is construed as part and parcel of a Marxist ideology of progress unequivocally criticized by Marx himself as early as in 1881. Taking The Communist Manifesto (1848) as a point of departure, this article intends to emphasize the aporia in the works of Marx between Marx the scientist og Marx the politician, that furthermore reflects some of the main fractures between on one hand the theoretical interpretation of the capitalistic mode of production and on the other hand the strategic approaches characterizing the attempts of the European Socialist parties and the early European labour movement to overcome the ever returning crisis and the deep-rooted class conflicts. The specific Italian experiences offer the opportunity not only to discuss the philosophical and scientific contents of historical materialism but also to reactualize the political categories of democracy vis-à-vis the dictatorship of the proletariat and permanent revolution. In this respect, Antonio Labriola was a leading figure in the Italian debate of Marxism in the years between the 18th and the 19th Centuries, while Antonio Gramsci in the 1930ies revised the Marxist-Leninist tradition in the light of Fascism and the Stalinistic impasse of the Russian revolution. As one of the rather significant and influential Modernist and Avant-garde artists of the 20th century Asger Jorn is internationally well-known and admired. Lesser known – or lesser accepted in the reception of his work – is the fact that his many critical writings on art, philosophy, and politics as well as his archives and political activism are integrated and important parts of his entire artwork. For the first time in the reception of Jorn’s critical thinking the essay examines his Situationist criticism of Marx’ concepts of value, as outlined in the commodity analysis in Capital vol. 1, by regarding it a crucial example of his understanding of counter value as the only or most prominent quality of the artwork as such. 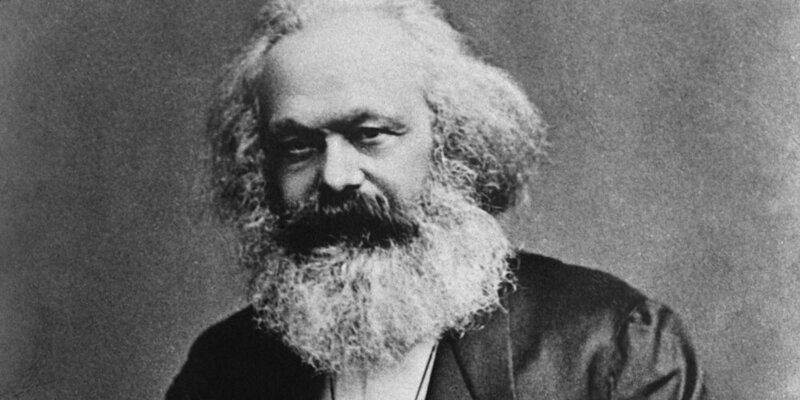 This article presents a reconstruction of Marx’s unfinished 1843 critique of political theology. In the preparatory notebooks for Critique of Hegel’s Philosophy of Right, Marx identified Hegel’s political philosophy as an expression of “political theology,” which was to be the subject of his projected critique. However, he never completed nor published the manuscript. This article presents a detailed analysis of the manuscript and its intellectual context in order to reconstruct this incomplete critique of political theology, conceived as the conception of the state as a sovereign subject that transcends and determines society from without that remains predominant in contemporary political thought. The distinctly (post-)Hegelian conceptual resources of Marx’s critique allowed him to overcome the contradiction between state and society issuing from this political theological conception of the state without resorting to abstract negation as most prior critiques have done. Marx instead proceeds to show that it is the social significance of this political theology and the associated practices that constitute the earthly existence of the modern state within civil society as a whole.